Fans of Netflix’s original series “Ozark” were thrilled this October to hear the confirmation of the show’s third season from the tweets of star and producer Jason Bateman. The dark drama centers around a family who moves to the area around the Ozark mountain range after becoming entangled in the operations of a drug cartel. The region’s scenic setting plays a large role in the show’s cinematography and plot, so for those who have binged and can’t wait until the next season finishes filming, you can get a taste of the hit show firsthand with camping near “Ozark” filming locations. These spots might have you camping in a state you wouldn’t expect, however. Even though the show’s setting and namesake is in the Ozark mountains of Missouri, the “Ozark” filming locations actually take place in Georgia. Those heart-stopping bluffs, yawning lakes, and dense forests are all shots straight from the Peach State. Tax breaks for the film industry have enticed filmmakers and production companies to move their studios to Georgia. The influx of actors and film crews have even given Georgia a new nickname, the Hollywood of the South. For Jason Bateman, “Ozark” is his fifth project in the state. 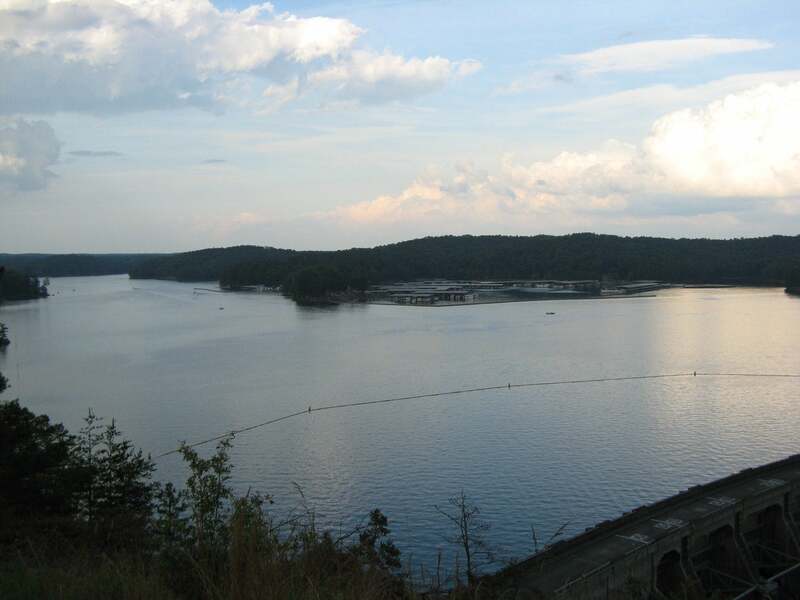 Part of the reason Georgia became one of the “Ozark” filming locations is due to the expansive, still waters of Lake Allatoona. Image from The Dyrt camper Tracy L. H.
In the show, one of Marty’s first endeavors in the Ozarks is to fix up the run down Blue Cat Lodge so he could launder money through the establishment. In real life, the “Ozark” production company bought a closed restaurant, The Little River Grill, that sat on the banks of Lake Allatoona in Cherokee County, Georgia. Just around the bend from this filming spot is Sweetwater Campground, which offers campsites right on the beach of the calm lake waters. 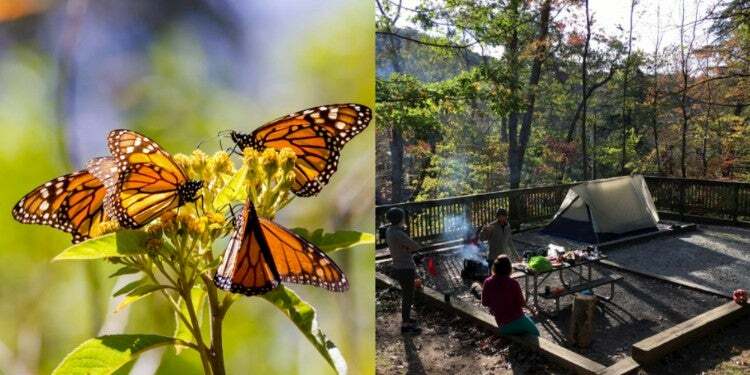 There are more than 150 campsites to choose from, each equipped with a fire ring and picnic table. Flush toilets, showers, and drinking water are also on site. Sweetwater can accommodate those seeking nonelectric tent sites and those seeking electric RV sites. After swimming or fishing in the stretching lake, fans of the show can check out the building known as Blue Cat Lodge, though as of May 2018 the structure has been bought and transformed into J.D.’s Bar-B-Que. “The lake view was amazing and facilities were nice and clean. Quiet at night and very peaceful! 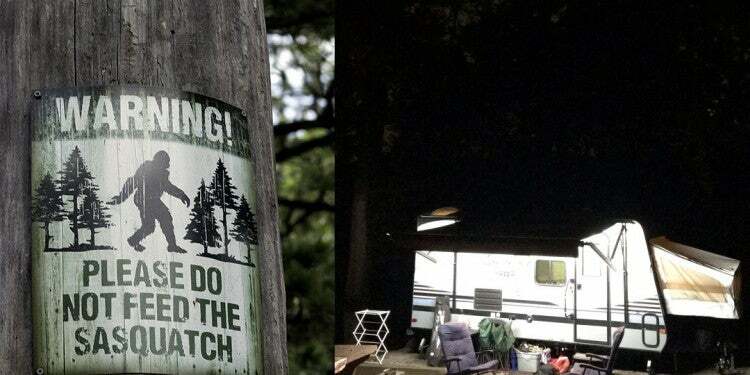 I would definitely come back here again.” —The Dyrt camper Melissa J.
Sawnee Campground sits on the banks of Lake Lanier, one of the “Ozark” filming locations in Georgia. 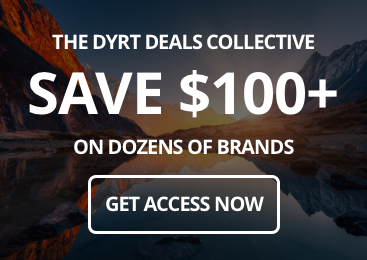 Image from The Dyrt camper Natalie A. In the show’s first season, when undercover FBI agent Roy Petty seeks to use infamous local Russ Langmore as leverage for information on Marty Byrde, he builds rapport by fishing with him. During this scene, these anglers were actually casting their hooks into the waters of Jones Bridge Park in Gwinnett County, Georgia. 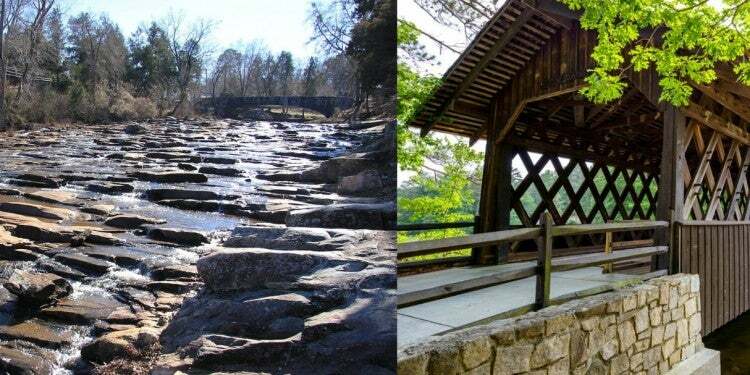 Jones Bridge Park is a local park favored for its tranquil trails along the Chattahoochee River. You can wade into the river or glide away on an inner tube, what Georgians call “shootin’ the hooch.” The park also features pavilions, wide meadows, children’s playgrounds, a sand volleyball court, and on-site restrooms. There’s no permitted camping at Jones Bridge Park, but it’s a short drive from Sawnee Campground, if you’d like to make it into a day trip. 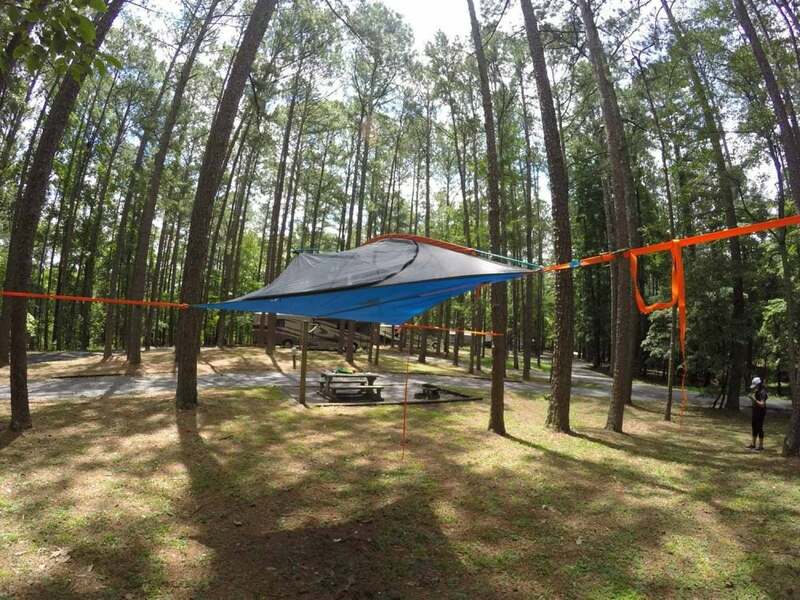 Sawnee Campground is located at the southern end of Lake Sidney Lanier, near the Buford Dam. Sawnee Campground has 59 campsites situated on a portion of Lake Lanier’s 690 miles of shoreline. The vast majority of the campsites have electric and water hook ups, but no sewage, and sixteen are walk-in sites. Restrooms and laundry facilities are available. Don’t miss the stunning views of the Buford Dam, the structure that formed Lake Lanier in 1956, from the park’s Westbank Overlook. “Lots of great lake views. Enjoy watching the fireworks during the 4th of July.” –The Dyrt camper Natalie A. One of the “Ozark” filming locations in Georgia includes the Silver Skillet restaurant near Georgia Tech. Image from Tom Driggers on Flickr. Camping is scarce within Atlanta’s I-285 perimeter, but the Atlanta-Marietta RV Resort is one of the few campgrounds available. 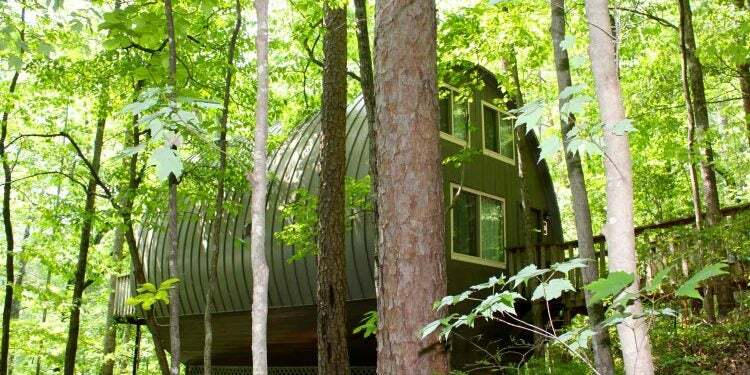 The RV resort is a wooded respite at the core of Atlanta bustle. Each site has 50, 30, and 20-amp electric, as well as water and sewer hook ups. Wireless internet and cable are also provided. Morning and night views at Lake Allatoona, as seen from Victoria Campground. 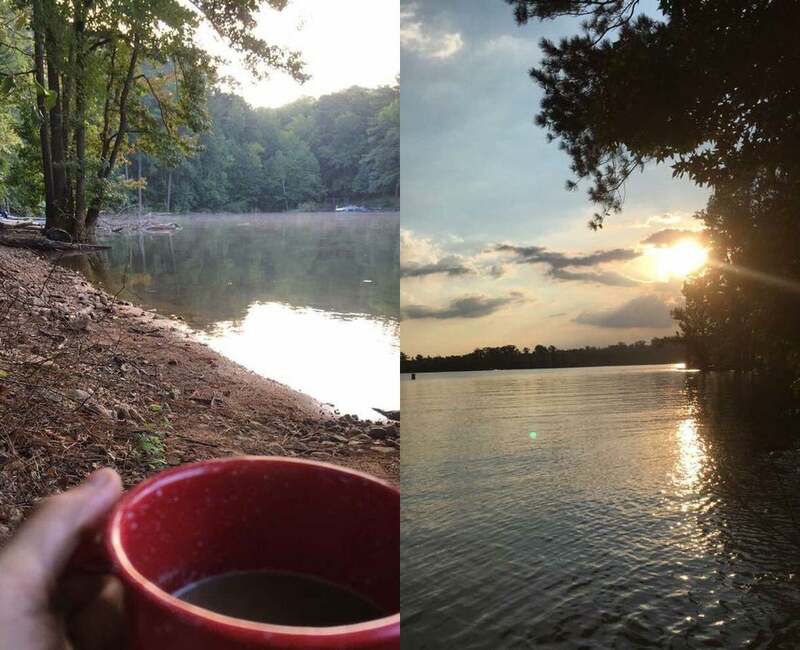 Images from The Dyrt camper Adriana C.
Next to the former Blue Cat Lodge, the Little River Marina accents the edge of Lake Allatoona. As one of the lake’s most popular marinas, it’s regularly used for boat rentals, storage, service, and the snack bar. When the Byrde family first arrives in the Ozarks in the show, many of the expansive lake, forest, and sky shots are taken from the Little River Marina. Later in the season, the dock plays a larger role in the series, as the scene of a murder. Just a six-minute drive across the shoreline will land you at Victoria Campground. The 70 campsites offer access to a dock and swimming beach. Victoria Campground also provides fire rings, a picnic area, drinking water, flushable toilets, and showers. Sewer, water, and electric hook ups are also available for RV campers. 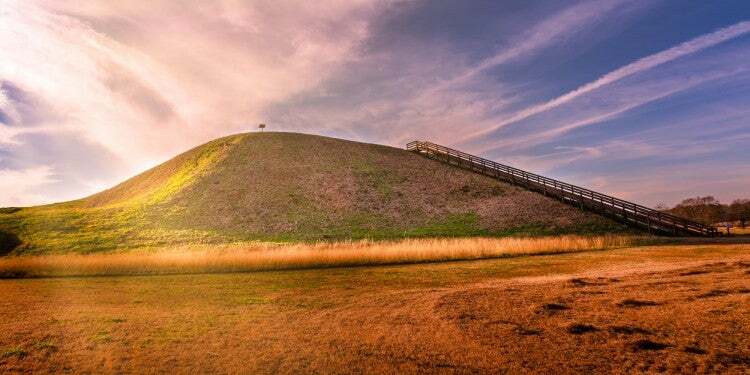 “This place is well conserved. Lots of sites are waterfront or has access to the lake, that is a plus. 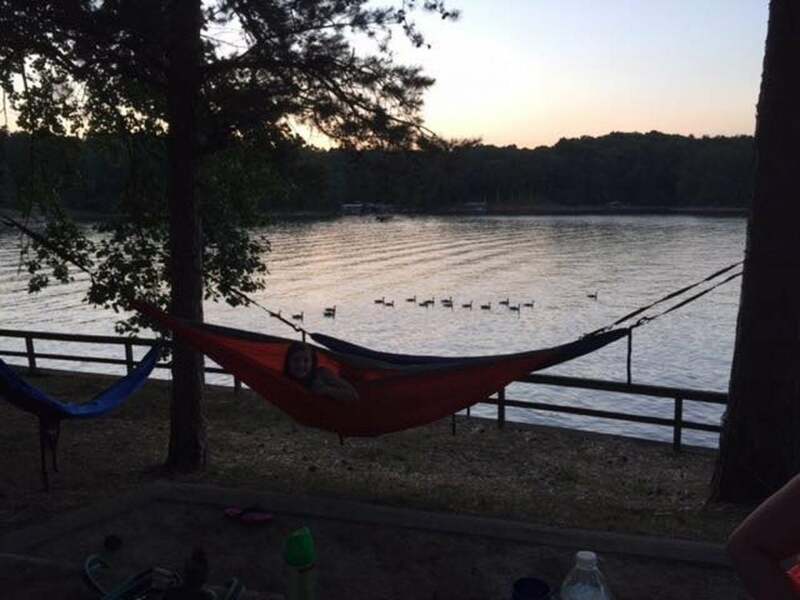 The lake area is tranquil and quiet.” –The Dyrt camper Adriana C.
A hammock rests suspended above the Red Top Mountain State Park ground, located on the banks of Lake Allatoona. Image from The Dyrt camper Amar P.
Williamson Bros. BBQ is another area favorite for its wood-smoked, traditional Southern barbecue. 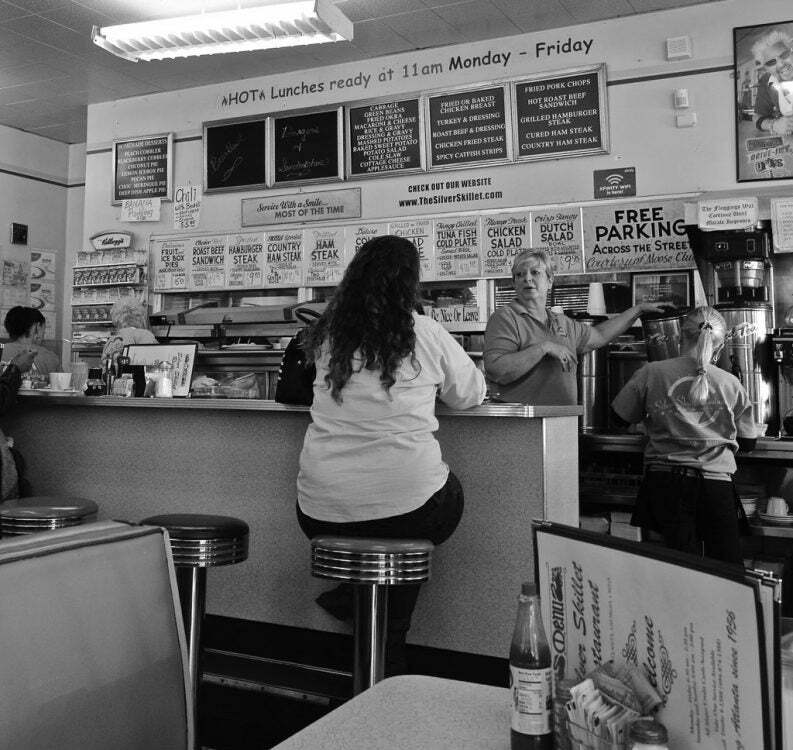 This local eatery also became one of the “Ozark” filming locations in season one, episode four. Luckily, the barbecue joint is only 20 minutes from Lake Allatoona, making it a convenient and delicious stop for when you’ve worked up a camping-sized appetite. Red Top Mountain State Park is located on the 12,000-acre Lake Allatoona. 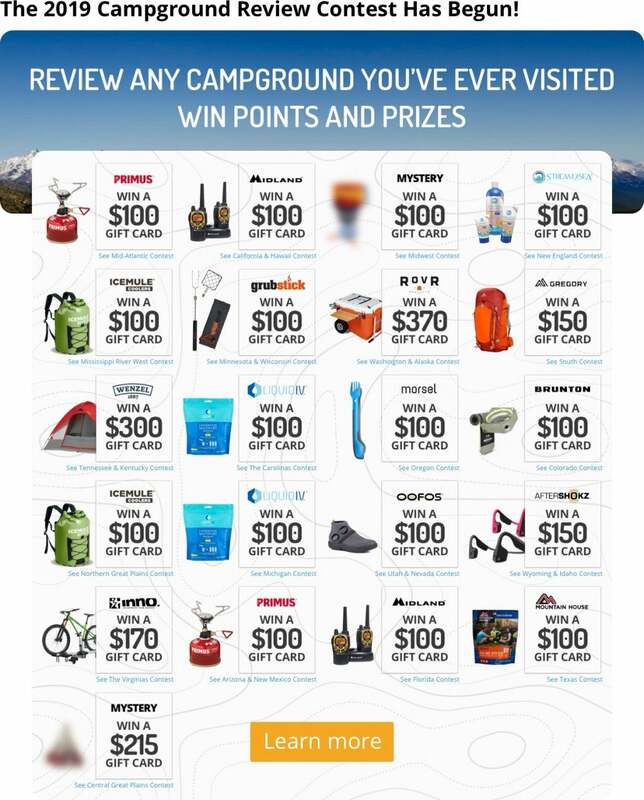 It features 92 campsites ranging from backcountry to group sites. There’s also one yurt and a number of cabins to choose from. Campers who opt for the unique yurt will experience living in a shelter that honors the of traditional construct used by Mongolian herders. Red Top Mountain State Park strategically places facilities with hot showers and flushable toilets around the grounds. 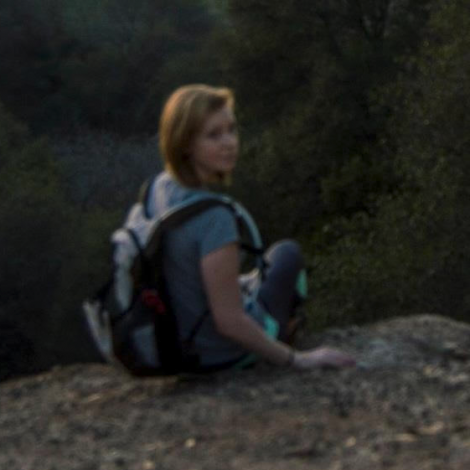 “The park has about 15 miles worth of shaded trails for hiking and mountain biking. The park also has RV, yurt, and cottage options for camping. We rented a first come first serve RV/Tent campsite during our visit, and the price was $35 for one night.” –The Dyrt camper Amar P.
The plot may be based in Missouri, but the "Ozark" filming locations feature many Georgia landscapes.